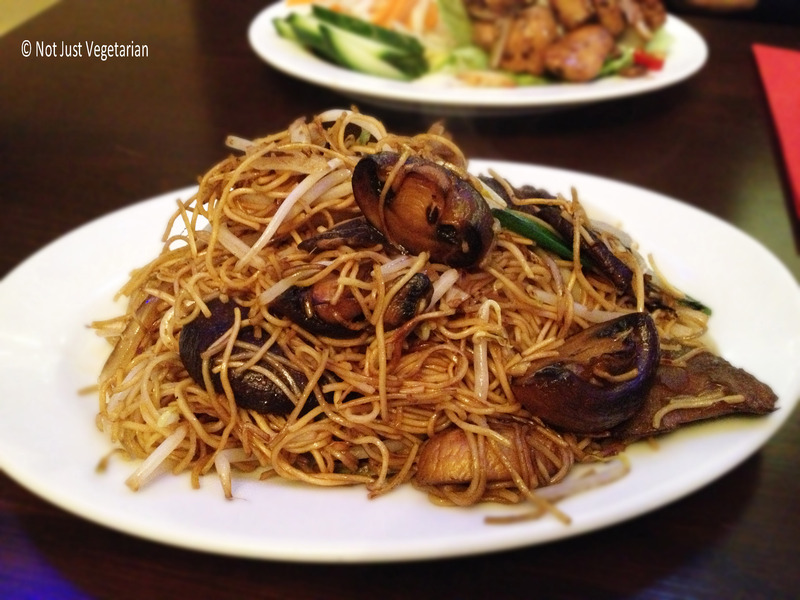 We went to Com Viet because we were looking for a quick meal in the Covent Garden / Leicester Square area and were thrilled to find this little hidden gem of a place. 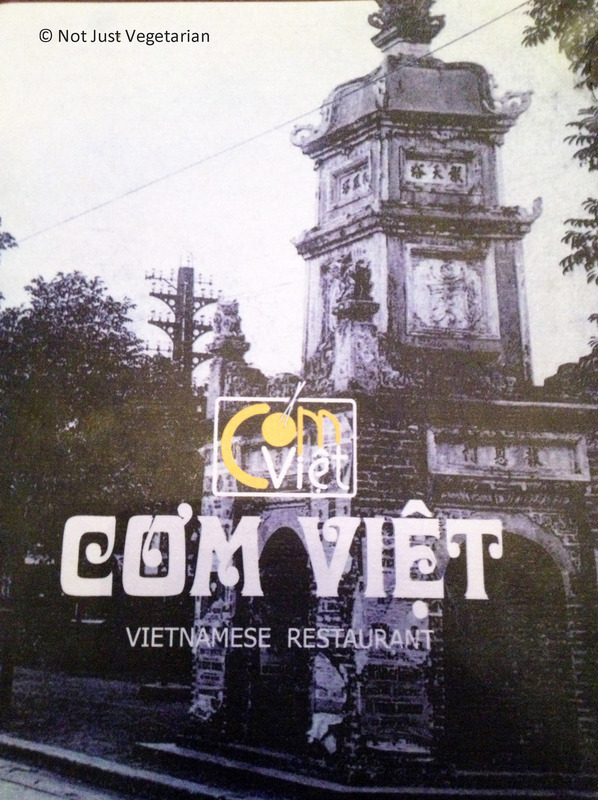 We loved the simple dinner we had at Com Viet and hope to be back if we are in the neighborhood again. Com Viet seems like a very small restaurant – there are only 12 seats on the ground floor, but the basement can accommodate almost 80 people apparently. There were just a couple of other diners on the ground floor. 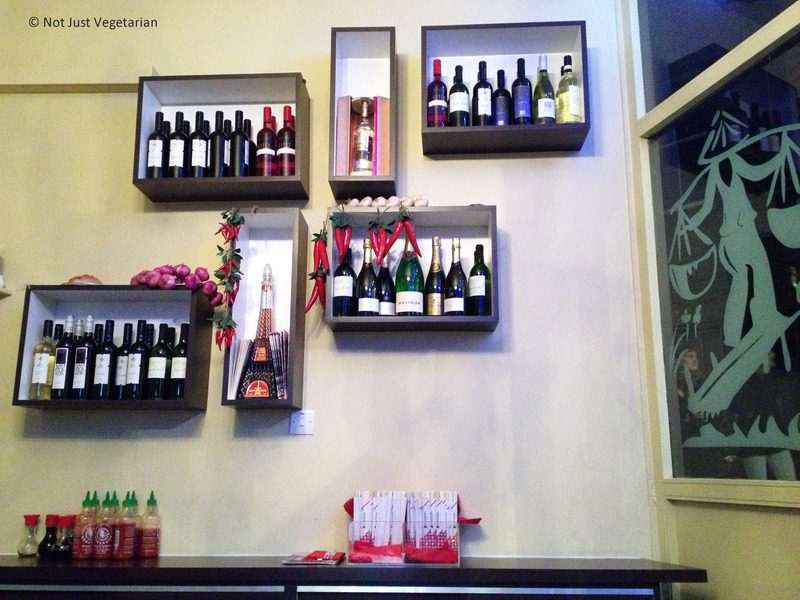 The menu at Com Viet has limited options for vegetarians. 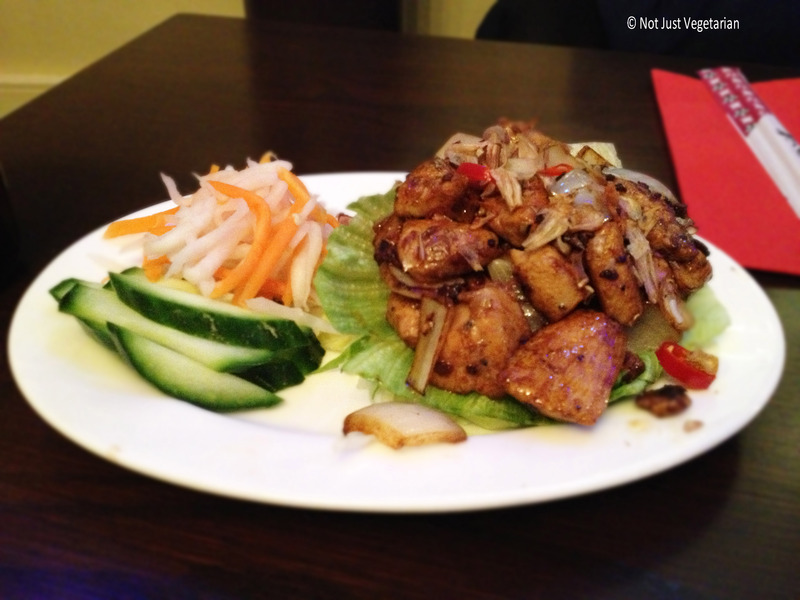 Com Viet prides itself on serving fresh and authentic Vietnamese food and we felt the same as well. 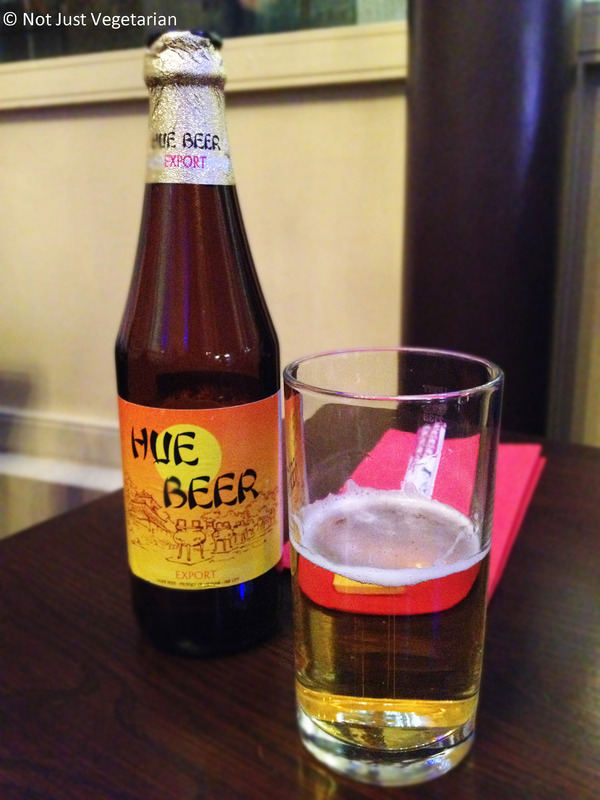 Hue Beer (slightly sweet) paired perfectly with hot and spicy Vietnamese food. 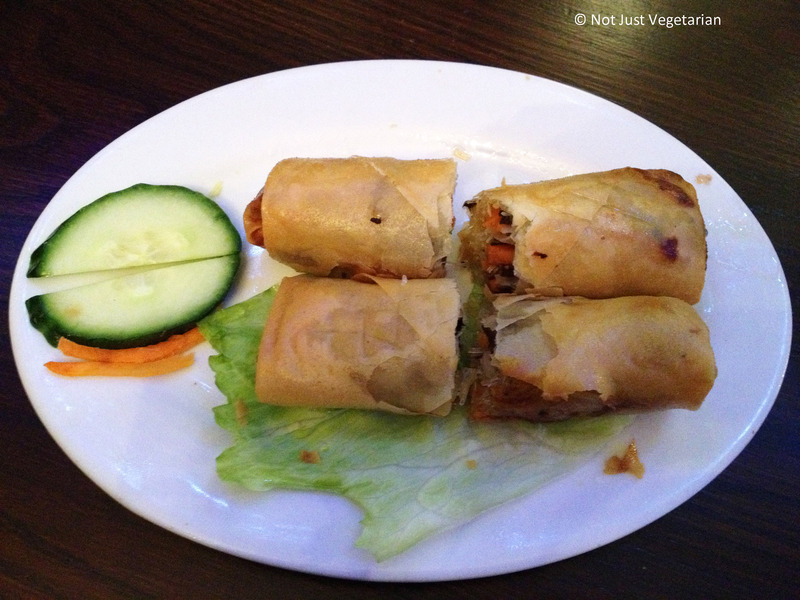 The vegetarian spring rolls were crunchy and delicious. The luc lac shaking chicken was stir-fried right without being too dry, chewy or bland. The ramen noodles with oyster and shitake mushrooms was perfect on that cold night. 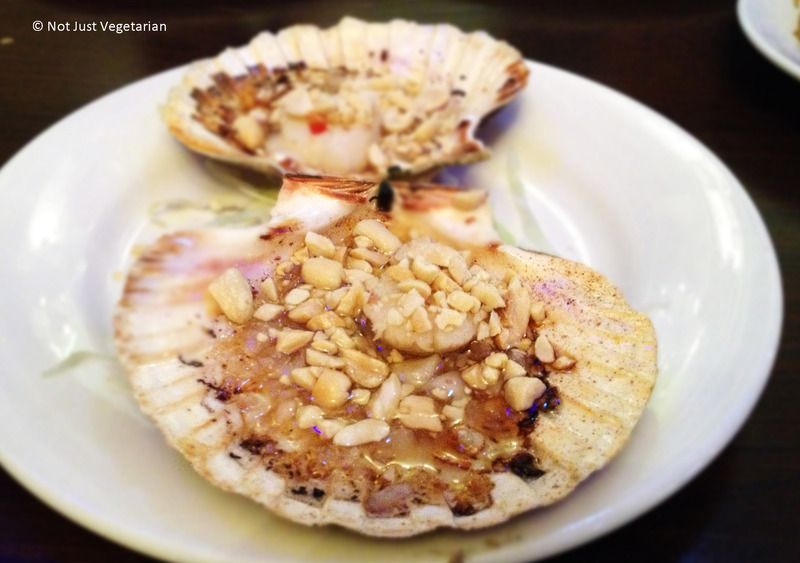 The grilled Cornish scallops (in their shell) topped with peanuts and fish sauce were excellent too! Com Viet is a great place to go to enjoy a quick or relaxed pre-and post-theater Vietnamese dinner in the Covent Garden / Leicester Square area.